Alta Tunnel & Transportation Co.
Sunshine Mining & Milling Co. 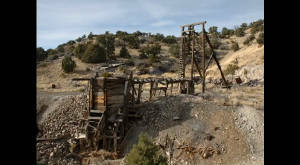 The best place on the web to learn about and explore Utah's historic hard rock Mines, Miners, and Minerals! Created and copyright 1977 - 2018 by Donald K. Winegar. Welcome! 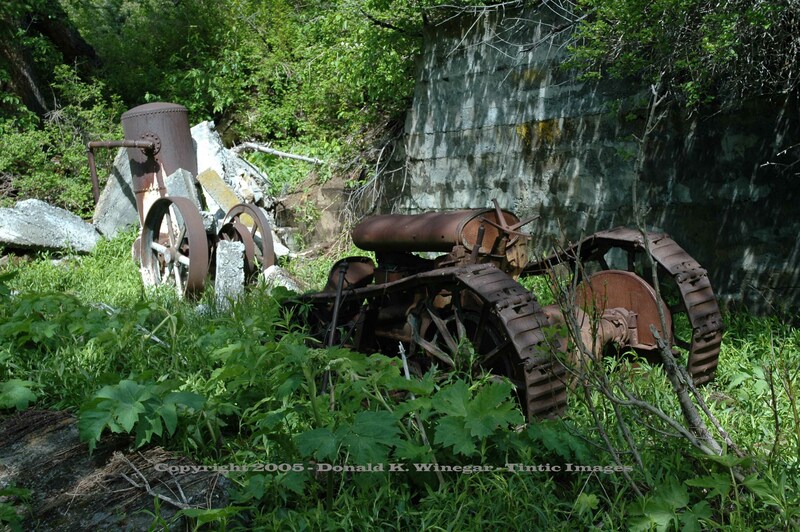 Join me for a photographic tour of selected Utah ghost mines and the structures that remain. In addition, enjoy the web's largest educational "e-Museum" dedicated to exploring and sharing Utah's historic mining past! Easy to use, simple to navigate, fun to explore, and will be packed with images and information. 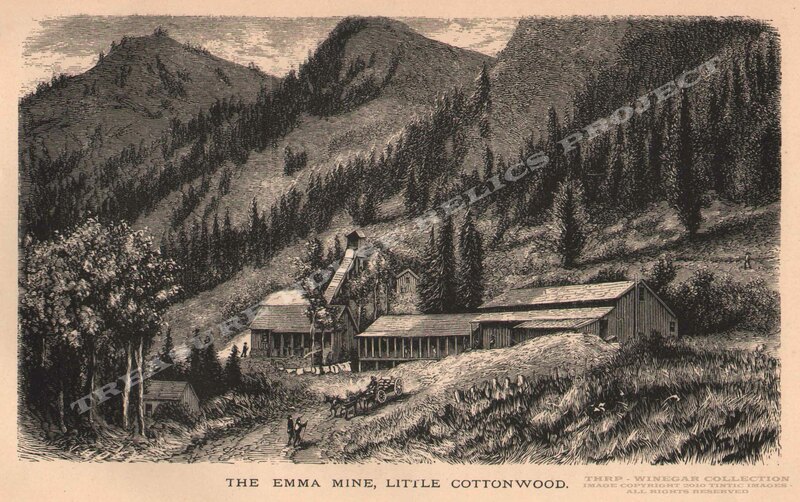 "e-Museum" collections include: tools, dynamite boxes, blasting items, assay equipment, assay reports, ore cars, aerial tramway items, bottles, ore specimens, letters, personal writings, poems, maps, drawings, sketches, documents of all kinds. 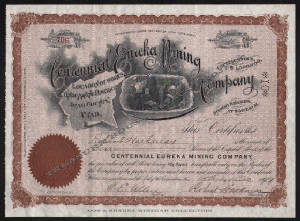 In addition to all that, the largest digital collection of Utah mining, mining related, oil, land, water, banking, railroading, and other company stock certificate images ever published to the web including some of the rarest known. 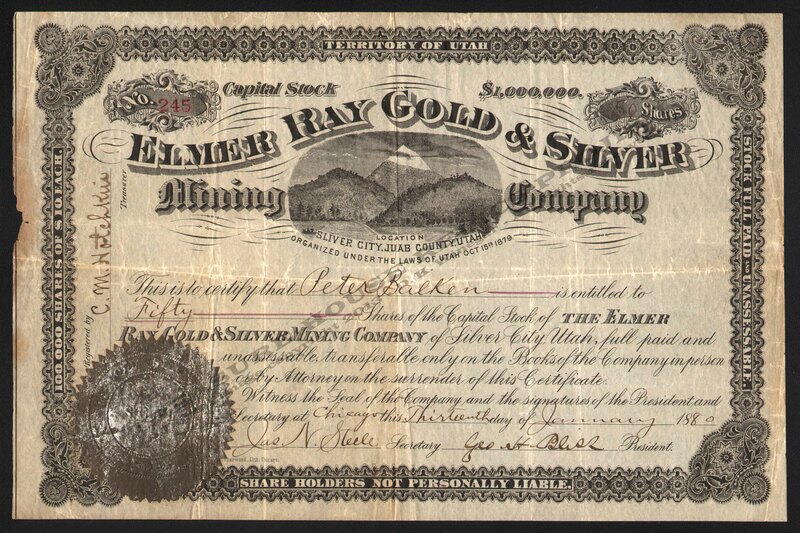 Now on the "Home Page" we feature a certificate issued by the Elmer Ray Mining & Milling Company, Silver City, Tintic District, Utah. There are now 1733 stock certificates posted to this site!!!!!!! is the name of this undertaking. I share this project here. 30 years of exploring, research, and collecting all brought together in one place. The goal, to create the most complete, comprehensive digital archive of early hard-rock mining in Utah ever published to the web. I'm just getting started and it will take years to add it all, so check back often to see what's new. LETTERHEAD IMAGES FROM HUNDREDS OF COMPANIES, MOSTLY UTAH, INCLUDING SAMPLES FROM MERCUR, PARK CITY, SALT LAKE, BINGHAM & OTHER LOCATIONS. GREAT DESIGNS, WITH SOME IN FULL COLOR! THANK-YOU TO ALL WHO HAVE CONTRIBUTED TO THE SITE, BUT ESPECIALLY TO THIS MOST RECENT PRIVATE CONTRIBUTOR. MORE ARE COMING. TELL YOUR FRIENDS ABOUT US! Use the navigation links at the top left, or click on the images below to begin exploring! CLICK YOUR "REFRESH" or "RELOAD" button every time you visit this site or any page. That way you know your getting the latest updated page, not a cached page on your computer. New material is being added daily! 4/2/2018 - Numerous edits. Added Stocks, Letterhead, Checks and photos. More coming very soon. If you are wanting to sell or donate items that you believe are within the scope of this project, please contact me. I will be happy to work with you. If you do not want to part with your material, please consider allowing the use of your material. Your items will never leave your possession. I would just like access to get a good quality scan or digital image and the story that goes with it. Your contributions will be clearly identified as to their origin, and your name will be added to our ever growing "CREDIT" page if you choose to be identified. So go find it, send me an e-mail, and let me do the rest. Come on, share with the rest of the class! Sharing is the best way to educate. Education is the best way to know. Knowing is the best way to appreciate. Appreciation is the best way to foster gratitude, and gratitude is a very, very, good thing! So thank-you to everyone who has helped thus far, and thank-you in advance, to those who will yet help this project along. It is done for you. Whoops! Don't forget to read this stuff, it's important! Launched in 2010, this site is fairly new, so everything has not been uploaded yet. New items are be added regularly, so come back often! Also, If you see ANTHING in this site that appears to be incorrect please let me know. I want it to be as accurate as possible. This site is created, designed, and maintained by Donald K. Winegar. All images, music, and text are Copyright 1977-2014 by Donald K. Winegar unless otherwise noted. NOTICE! NO PORTION OF THIS SITE MAY BE COPIED, DOWNLOADED OR DUPLICATED BY ANY MEANS WHATSOEVER, WITHOUT THE EXPRESS WRITTEN CONSENT OF THE OWNER! NOTICE: Mines, mining, and mining claim locations can be dangerous, with numerous natural and artificial hazards, both seen and unseen. By viewing, use, and enjoyment of this site and the information contained herein, the users agree to relieve the author, sponsors, contributors, or any other person or entity associated with this site of any liability from the use and information contained in this site. Further, the user also accepts responsibility for any liability incurred by family members or guests from the use of any information contained herein. The author or the TREASURE HOUSE RELICS PROJECT neither encourages nor condones trespass on private or otherwise restricted property without express prior and proper permission from the rightful owners of said property! Advance to the INTRODUCTION page. Click on the image below to see our brief introductory video. 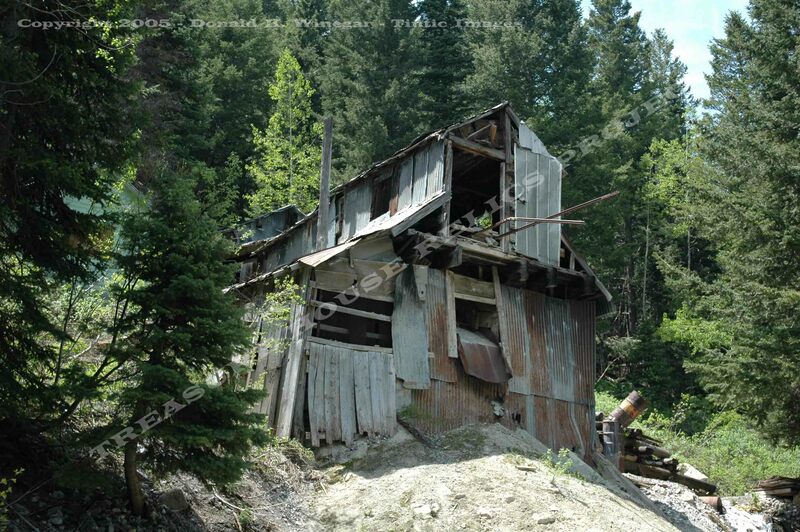 Get a glimpse of just a few Utah mining structures. Enjoy! Click you "refresh" or "reload" button everytime you visit each page to make sure you are viewing the latest updates and not cached pages! If you enjoy this site, please consider making a donation to the effort. 100% of all donations will be used to host, update, research, and expand the TREASURE HOUSE RELICS Project, its site and materials. Any individual, family, company, or organization will be listed on our "Sponsors and Credits" page, if you so choose. Please tell your friends about this site! Click on the icon below to begin. 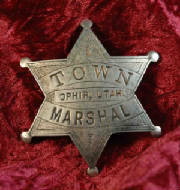 Exploring Utah and Utah's mining past for over 30 Years!